CD/ DVD Service bureau tunes out hundreds to thousands of Discs on a daily basis. Capax has been a major supplier to well over 80% of the Service Bureaus in Australia with Duplication equipments, auto disc printers and media and packaging supplies. 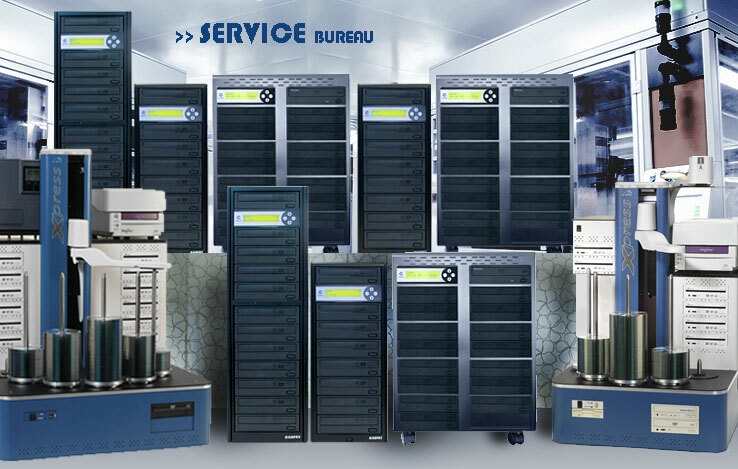 Reliability, speed and quality of products are essential to a disc duplication Bureau. Capax is not only a supplier of duplication products, also a servicing centre for majority of the heavy duty duplication equipments. We have extensive technical knowledge as well as experience in all major brands of duplication equipments.